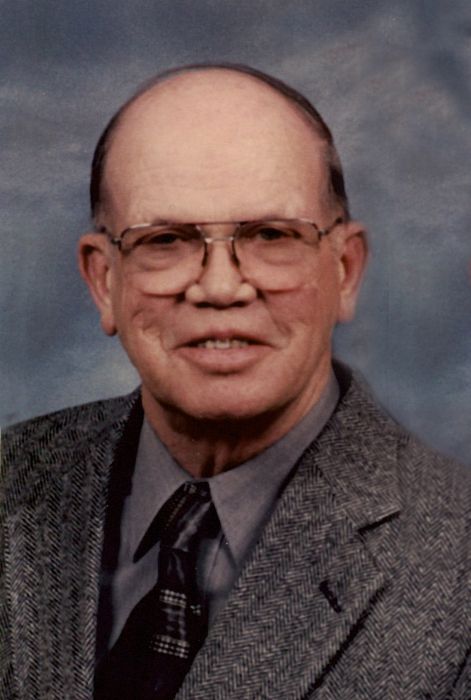 LuVerne Harris Skare was born on September 14, 1933in Elk Lake Township the son of Helmer and Helen Skare. He grew up in Barrett and as a young boy would work for farmers in the area. He graduated from Barrett High School in 1951. LuVerne enlisted in the United States Army and was honorably discharged. He returned to the Hoffman area where he married Arlene om 1956 at Lincoln Lutheran Church in Hoffman. During his life LuVerne worked in carpentry did some mechanical worked too before working for the State Highway Department in Fridley and then transferred to Alexandria retiring in 1992. Arlene died on 1995. LuVerne met Shirley 1995 and the couple was married on May 6, 1996 in Marshall, Minnesota. After their marriage they resided in Hoffman for several years before moving into Alexandria. LuVerne enjoyed reading the paper and fishing. LuVerne died on Saturday, April 13, 2019. He is survived by his wife, Shirley; step sons: Mark (Karen) Frovarp, Scott Frovarp, Rick (Carol) Frovarp, Karl (Julie) Frovarp, Troy Frovarp; step daughter in law Shelly Frovarp; Several step grandchildren and great grandchildren. He was preceded in death by his first wife, Arlene; step son Mike; sisters: Delores & Verna and brother, Orlin.